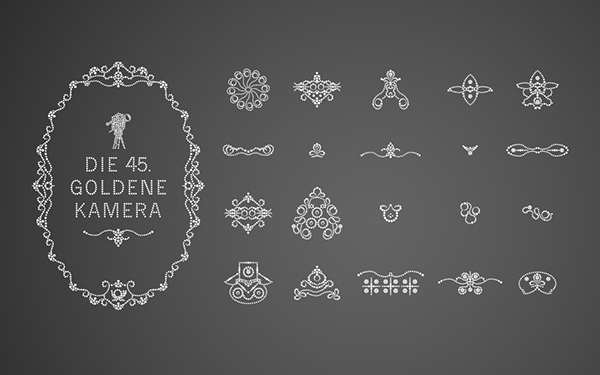 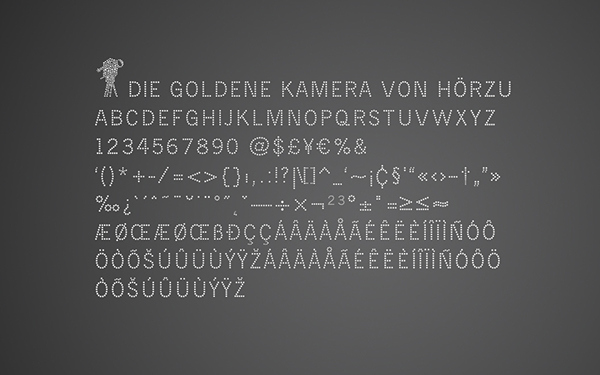 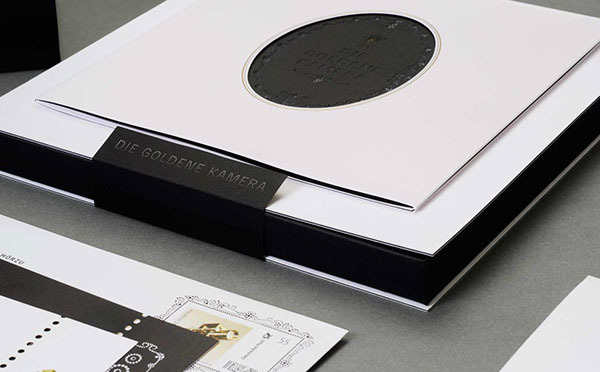 For the 45. presentation of the Golden Camera from Hörzu we developed a Black & White Burlesque Look in the style of the 20's. 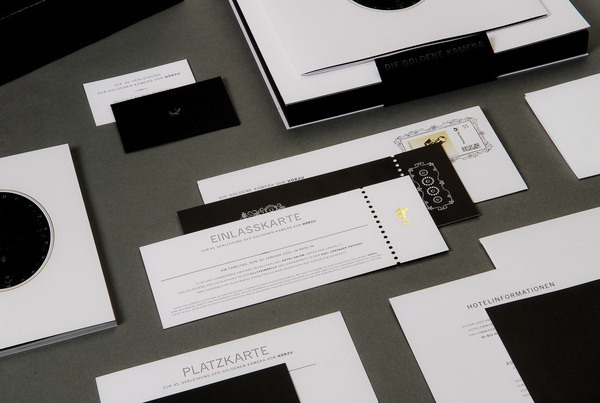 This look is found in all elements of the print communication. 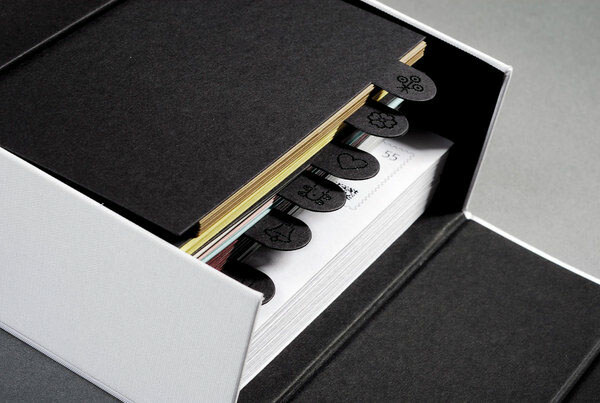 The package contains, amongst other things, a Save-the-Date, a very intricate invitation which contained individual informations for the different guests, the admission ticket and seat reservation cards, the programme, guest favours which were given out in a branded bag and special VIP presents. 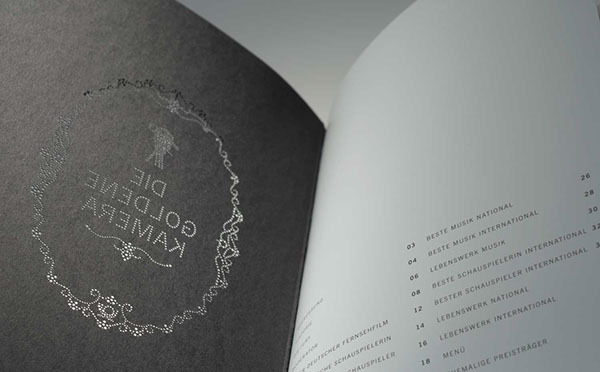 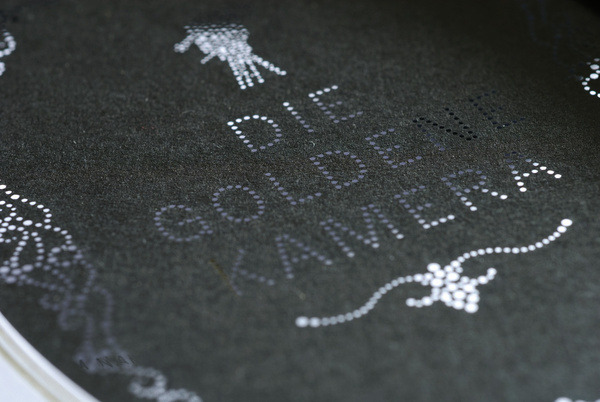 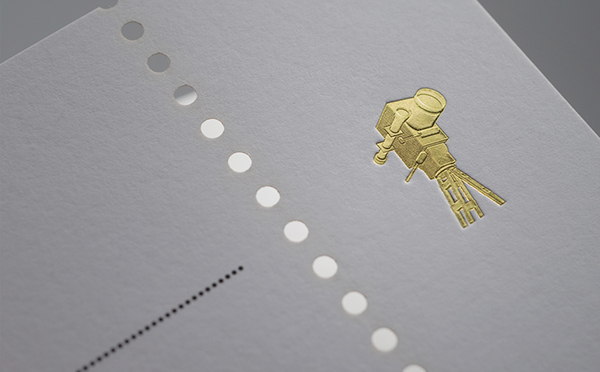 The returning style-elements are the laser-cut ornaments and typo on fine paper, the revised Golden Camera logo hot-foiled with a relief and the dot-typo which was developed especially for this event: News Gothic Pointe. 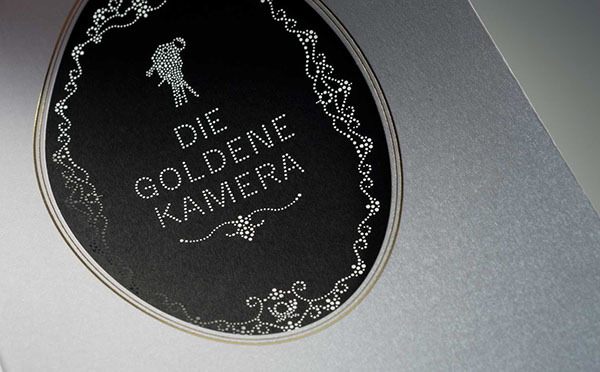 For the 45. presentation of the Golden Camera from Hörzu we developed a Black & White Burlesque Look in the style of the 20's. 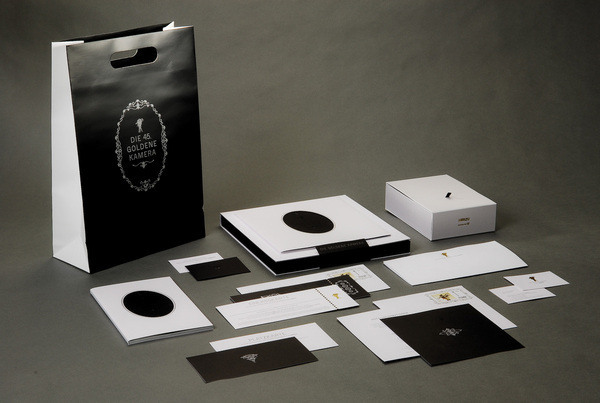 This look is found in all elements of the print communication.